September 1st, is the opening day of snook fishing . On Sept 1st, you will be able to keep one snook per person. 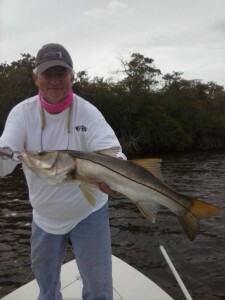 Snook is a great fighting fish, and are one of the best eating fish that swims in the Everglades . The snook in the picture is one of many snook we caught on today’s charter . Don’t miss out on some great snook fishing! Give me a call, and book your days for September!